To maintain a healthy weight you should avoid? The American Heart Association recommends an added-sugar limit of six teaspoons for females and nine teaspoons for males per day. However, the typical American is consuming 22 or more teaspoons a day, which adds an additional 350 extra calories daily! Added sugars are currently the major contributing factor to obesity. The majority of added sugars consumed in our diets are found in regular soft drinks, candies, cakes, cookies, pies, and fruit drinks. Other uncommon places to find added sugars are in ketchup, salad dressing, jams/jellies, and yogurt. The current nutrient facts label on all foods and beverages does not clearly indicate added sugars. The line for sugars includes both natural and added sugars. Reading the ingredient list can help you identify if the product contains added sugars. Since the 1980's there has been a huge push for low-fat foods and beverages. The goal was to improve heart health by reducing intake of saturated fat. However; with the ever growing rates of obesity and type 2 diabetes, we now realize that cutting back on fat is not the answer to the obesity epidemic. When manufacturers started to cut back on the fat content they started adding sugars to make up for the lack of fat and to keep consumers satisfied. 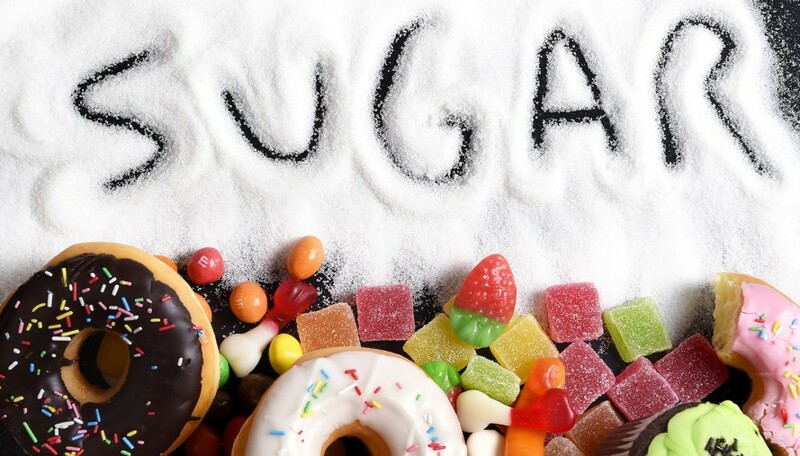 Through the consumption of food high in refined carbs, studies have shown that this is causing sugar swings and cravings making it difficult to control overall calorie intake. Diets high in refined carbs and sugar have shown an increase in the risk of diabetes, heart disease, and cholesterol levels. Remember 4 grams of sugar is equivalent to 1 teaspoonful so be mindful and check your labels!